In the wake of iOS 8’s revision of its Photos organizing utility, several new apps have emerged that offer alternatives for accessing and managing your iPhone photo collection. 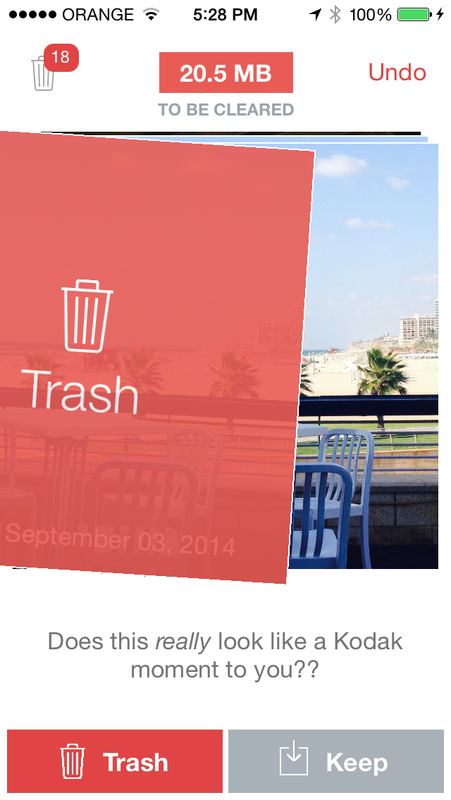 Flic, which debuts today from Lifehack Labs, focuses on an easier way to choose which photos to keep and delete. As its name implies, a flick of the finger in one direction or the other (left to keep, right to delete) decides the fate of an image. This Tinder-esque card-based interface leaves room to change your mind. A trash can icon at the top shows a badge representing how many images you deleted, but you can undo any deletion. The app takes you systematically month-by-month so you can keep track of your volume while providing good starting and ending points. A monthly alert feature — which notifies users when a new batch of monthly photos is ready — will remind you to review and delete pictures from the previous month to keep the Photos app tidy. Flic says it is the first independent app to use iOS 8’s updated permissions, letting users manage and delete photos via the app. 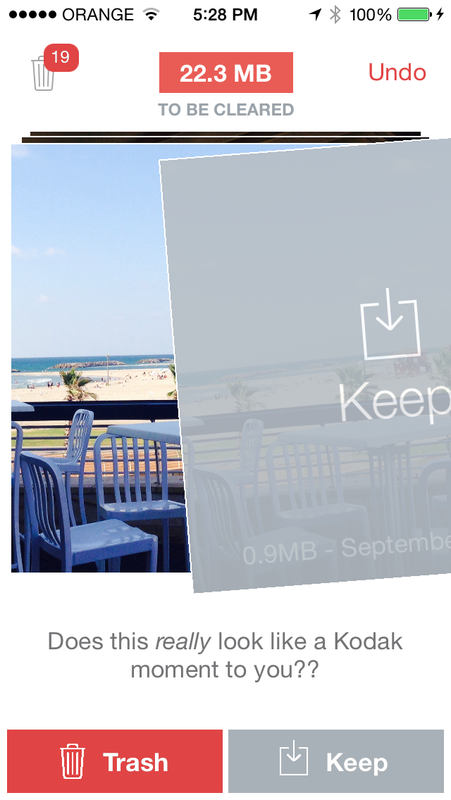 Flic keeps a running account of exactly how much drive space you reclaim when you delete photos from your phone and also asks permission to delete photos from your Photo Stream. Flic is cool for when you’ve captured lots of photos, but don’t want to keep everything on your phone. It might also be a quick way to forever delete certain unwanted photos from your phone and Photo Stream, though iOS 8 now also provides a fairly easy way to do that as well. Fllic is available in Engligh now, but additional language versions are planned, including Russian, Chinese, Spanish, French, German, Korean, Japanese and Italian. Flic is available for $0.99 on the iTunes store for this month, and thereafter for $1.99.